Pfizer have released a reasonable set of financials despite the effects of generic competition to their cholesterol blockbuster drug, Lipitor. Fourth-quarter net income soared to $6.32 billion, up from $1.44 billion in the like-for-like quarter of the previous year. The net income was boosted by the sale of their nutrition business to Nestle for $11.85 billion. Pfizer’s group turnover was $15.07 billion, a drop of 7%. Lyrica is now Pfizer’s top-selling drug and grew by 13% to $1.13 million, while the kidney cancer treatment Sutent rose by 2% to $323 million. The COX-2 inhibitor Celebrex increased 12% to $750 million but the smoking cessation drug Chantix/Champix fell 1% to $174 million. Biopharmaceutical sales fell 9% to $12.89 billion and Lipitor dropped 71% to $584 million, dented by competition from other statins and the loss of patent protection. The blood pressure treatment Norvasc fell 4% to $348 million, while Pfizer’s blockbuster Viagra brought in $553 million, an increase of 6%. The glaucoma drug Xalatan fell 35% to $189 million. As for products from Pfizer’s acquisition of Wyeth, sales of the pneumococcal disease vaccine Prevnar/Prevenar 13 grew by 19% to $993 million. The arthritis and psoriasis therapy Enbrel brought in $957 million outside North America, while the Premarin range of hormone replacement therapies contributed $276 million. Pfizer also revealed that they may be considering dividing their branded medicines and generic products units into separate businesses. Any separation would be a long-term plan which would initially require modifications to sections of Pfizer’s existing operations, Read noted on a conference call with analysts. His comments echoed the comments of Geno Germano, president of Pfizer’s specialty care and oncology business, who initially revealed that Pfizer may restructure their drug operations into two units. 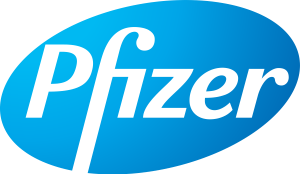 The comment led analysts to propose that the business shuffle could be a step towards dividing Pfizer into separate companies. “We will move toward separate management, and at that point we’ll evaluate whether shareholders would prefer to have the opportunity to invest in two separate companies or not,” Read added.